Medellín, Colombia is certainly a dangerous city, if you are on a diet; it has been named in recent years as an innovative city of the planet, but when it comes to food it should be named one of the best destinations for gastronomic visitors from all around the world, except for vegetarians, even though there are vegetarian options. Be prepared to eat big portions of food and to know some dishes you maybe will think twice about them, but that are very good. 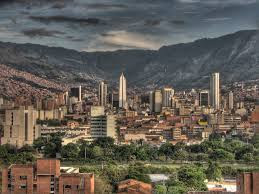 The following are some Top Colombia Tips for what to eat when you are visiting Medellín, the city of the eternal spring. You may have seen or known about this Colombian capital of the department of Antioquia, the second most important city of the country, and also with an infamous past.